We know that birds are susceptible to many of the same health problems that can affect people, including viruses and bacterial infections. Did you know, however, that birds can also get lice? 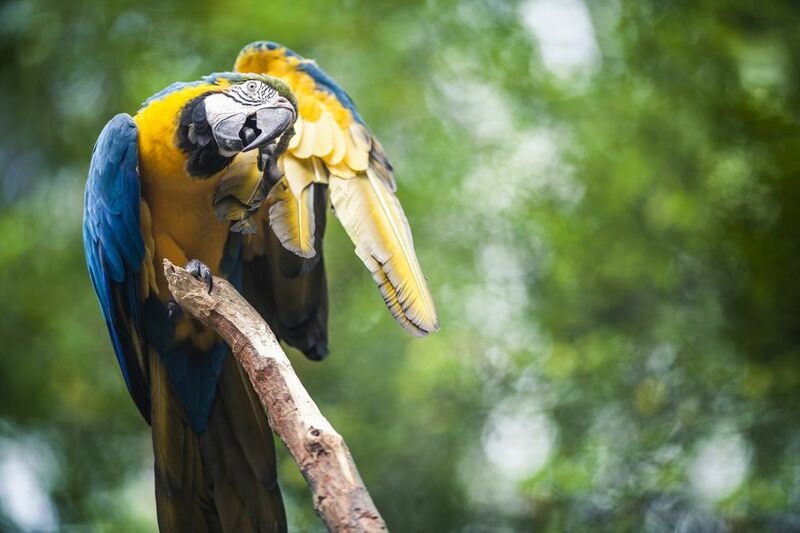 Not only that—there are specific types of lice that have developed to affect parrots exclusively. Learn all about these creepy crawly parasites, how to identify them, and how to get rid of them in this article on parrot lice. Keep your feathered friend and the rest of your family healthy and safe by learning what you can do to prevent lice and other external parasites. 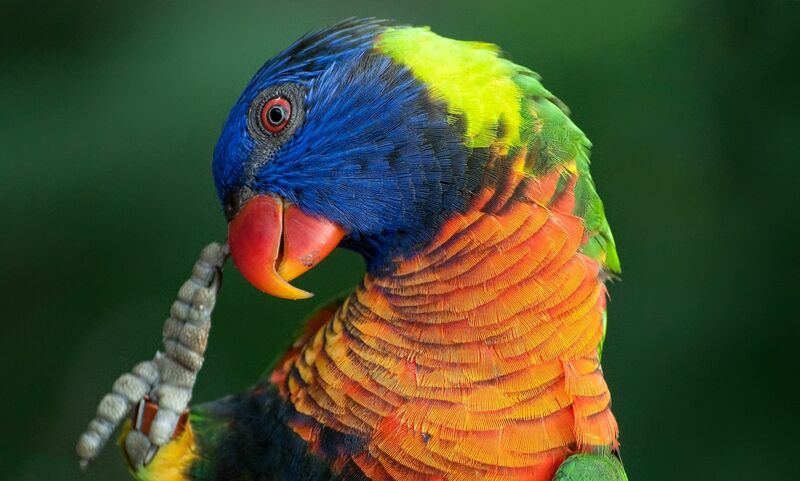 Just because you see tiny bugs crawling around on your bird does not automatically mean that your parrot has lice. In addition to lice, birds can become infested with mites or other types of external parasites. In general, lice infestations appear as small, brownish colored insects that can be seen traveling through your bird's feathers. You may not even be able to see the lice with the naked eye—in many cases, owners only notice excessive itching in their birds. In order to properly identify lice or any parasite with absolute certainty, it's important to promptly schedule an appointment with an avian vet if you notice any type of abnormal behavior or insects crawling around on your bird. If you live in a multiple-bird household, then it is extra important for you to identify and treat any form of parasite infestation as quickly as possible, in order to reduce the risk of exposing your other birds. If you do notice external parasites on one of your pets, quickly quarantine the affected bird in a safe area away from your other feathered friends. Even if you do not observe lice or other parasites on your other birds, it's probably a good idea to get your entire flock checked out by a veterinarian so that you can be sure to get any infestations under control. Can People Get Bird Lice? One of the most common questions that bird owners have about bird lice is whether or not the insects can transfer to human hosts. The good news is that bird lice are exclusive to birds, and will not infest human hair. However, this does not mean that the lice can't harm a bird's human family members. Lice can carry a host of diseases, in addition to having the ability to cause painful, itchy bites for people. Because of this, you will probably want to limit physical contact with an infected bird until you can seek proper veterinary treatment for your pet. Once you've identified lice on your bird and set up a vet visit for your pet, the work is not done. While your bird's veterinarian will offer a delousing treatment for your feathered friend, bringing your bird back into your home can cause the lice to quickly reappear if you haven't properly eliminated them. The first thing that you should do is thoroughly clean your bird's cage, making sure to scrub and disinfect all surfaces, corners, and nooks and crannies of the bars. In addition, it may be necessary to contact a professional home pest control service to spray your house for lice and other parasites. While this isn't exactly a pleasant undertaking, it's better than dealing with repeated infestations on your feathered friend. Between vet bills, pest control services, and other expenses, it's safe to say that it's not cheap to get rid of pet bird lice—however, please don't let the cost of effective treatment cause you to cut corners by using inferior products that you can buy at the grocery store. Most "do it yourself" pest control chemicals can be harmful or fatal to birds, as can treatments that are labeled for the removal of human head lice infestations. Do yourself and your bird a favor and seek professional help as soon as you suspect a lice infestation in your pet. What Kind of Diseases Can Pet Pigeons Get?